Liberal High School graduate Oscar Rodriguez is back in Liberal for the Coaches Against Cancer football camp. The event is Friday from 9 a.m. until 4 p.m. at the Gary Cornelsen Sports Complex at Liberal High School. Registration is at 8 a.m. The camp is free and is for boys and girls from 6th to 12th grades. There will be a free camp t-shirt and free Pizza Hut pizza provided to campers. There will also be a Coaches Against Cancer golf tournament Saturday in Liberal. Rodriguez graduated from LHS in 2000 and is a cancer survivor. Rodriguez will enter first season as the linebackers coach for the division 1 Chattanooga. He was most recently the defensive coordinator for three seasons at the University of La Verne (Calif.) where he was the 2017 NCAA Division III AFCA National Assistant Coach of the Year. 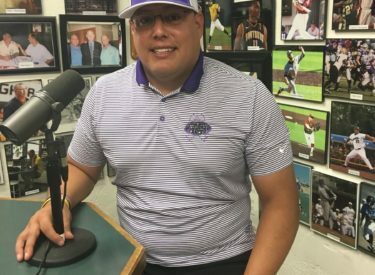 Rodriguez has also coached at Garden City, Emporia State, Hutchinson, Baker, Washburn, and Amarillo Randall High School. He played at Fort Hays State, Emporia State, and Coffeyville.